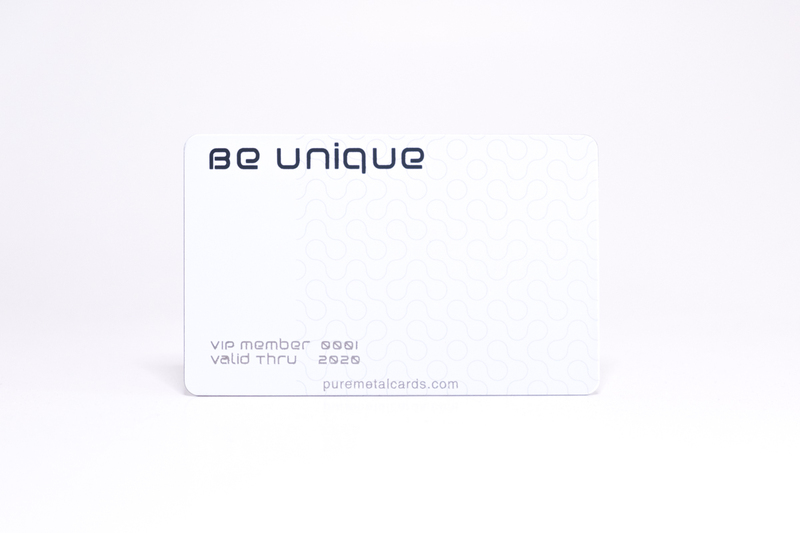 The Pure Metal Cards white titanium card is a standout card suitable as either a metal business card or luxurious metal member card. Titanium is an incredibly sleek metal in addition to being incredibly strong. Titanium was named after the Titans of Greek mythology. Titanium cards have also reached mythical status and the pinnacle of credit card status must surely be to be invited to own the Centurion card from American Express. The Pure Metal Cards white titanium card may also make you mythical. Pure Metal Cards genuine titanium cards are custom produced using laser etching onto aerospace grade titanium. The white titanium card is silk screen printed multiple times on each side of the card. The edge of the card will reveal the metal. Cards are either laser engraved or silkscreen printed with your design. Our cards are credit card thickness (0.8mm/0.0315”). We can also add a unique number, code or date to each card if used as titanium member cards. We also offer brushed titanium and matt black titanium finishes too. Titanium has proven to be technically superior in a wide variety of industrial and commercial applications in such fields as motorsports, aerospace, architecture, medical equipment, military hardware, jewelry and watchmaking, eyewear and many more. Let us make your titanium cards really stand out. Apple has also recently designed and launched a titanium Apple Card. With no card number, CVV security code, expiration date or signature on the card, Apple Card is claimed to be more secure than any other physical credit card. US customers can now sign up for the Apple Card. The range of Card Finishes – We offer the widest range of metals and card finishes available anywhere. For example, we have 19 different finishes for our stainless steel cards. Client List – Pure Metal Cards works with an extensive range of clients ranging from globally renowned brands to start-up businesses across all industries and continents. With over 2 million metal cards shipped to date, we lead the industry in card innovation and options to make your name or brand stand out from the rest. 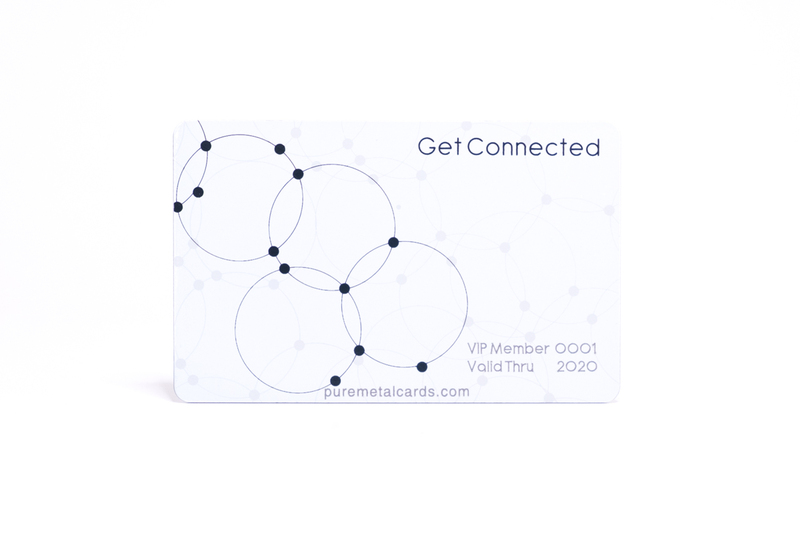 Pure Metal Cards can help you develop your existing business card or membership card to become an unforgettable metal card your clients or members will enjoy receiving. For more information please contact us today.